Every mom can identify with the feeling that they're in a race to the finish line every day, stumbling over everything in their path-including Legos and dirty laundry! Kara-Kae James knows how overwhelming motherhood can be. As she writes, "When we come to the place where we think that we have failed-this is the moment when God's Word and motherhood intersect." 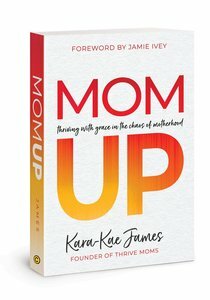 About "Mom Up: Thriving With Grace in the Chaos of Motherhood"